A facebook link to this article says that it's the first map of its kind, which I suspect is not true. There had to at lease have been a similar map in a role playing game supplement somewhere. "Sioux" is a French Voyageur perversion of what the Ojibwe ( aka Anishinaabeg ) called the Lakota-Dakota-Nakota people. "Navajo" is what the Pueblo peoples called the Dineh. then I thought ... wait.... and searched his name. a lot of work, and well done. $125 for a print of the map. I don't think that I'll be buying one, but I could imagine a school buying one. 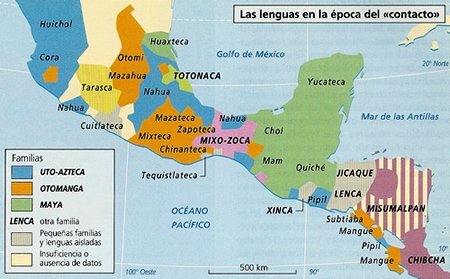 Just would like to point out that Precolumbian civilizations were not confined to modern era political boundaries. 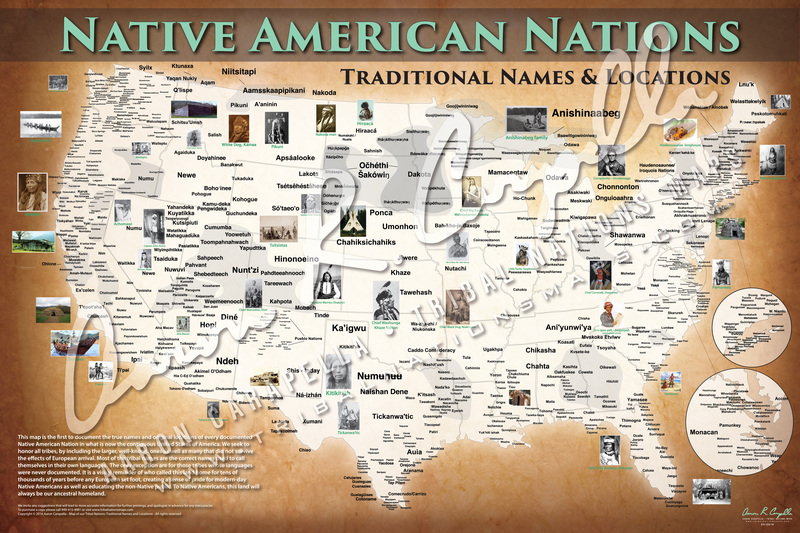 So its a bit artificial to confine Native American groups to "The United States." having said that modern Mexicans are guilty of doing the same thing. 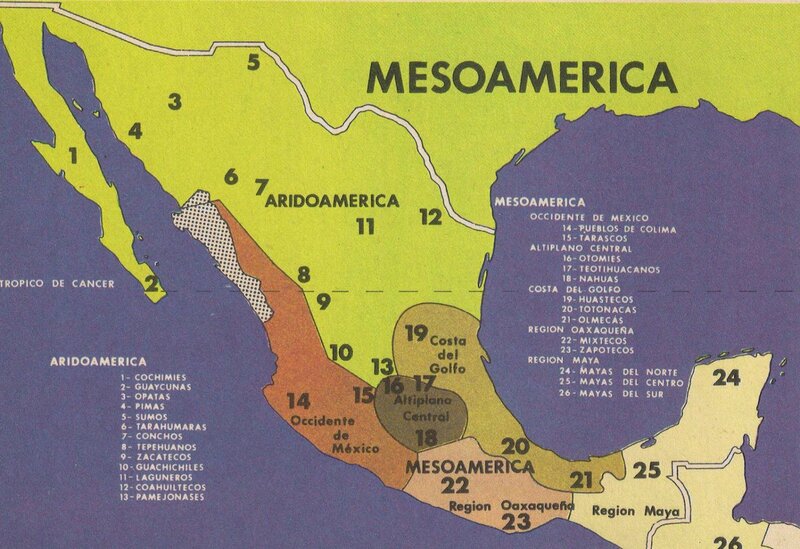 Here's a map of Native AridAmerica and MesoAmerica (separate regions from an archeological and anthropological perspective) which today from part of modern Political Mexico. 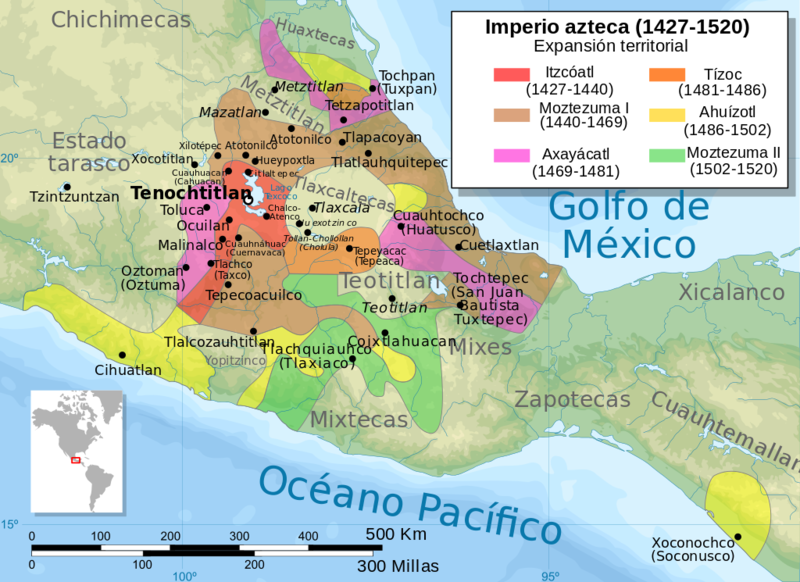 Archeologists separated the region in a different way by geographical and cultural regions. And what about Canada? 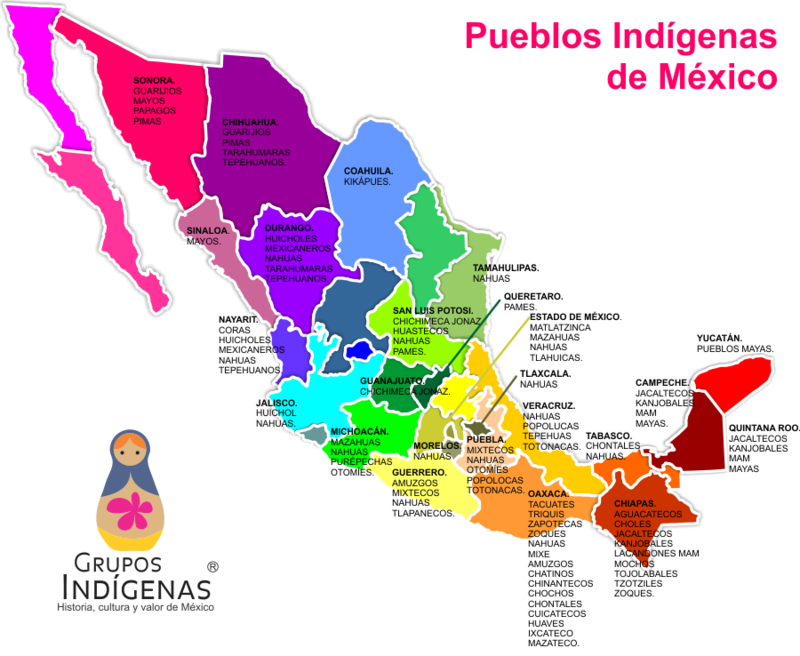 Is there a comprehensive map of cultures for the whole of North America that is not partitioned by modern boundaries? I think there may be a few missing in the U.S. one. There's got to be better maps than all these. I just know it, but can't find much in the surface over the internet.